Together with Jana Tumova, I ran the inaugural RSS Pioneers Workshop. This selective workshop seeks to bring together a cohort of the world�s top early career researchers in all areas of robotics. Local NPR station WESA interviewed me for a radio segment about a new ONR-funded collaboration exploring robot self-assessment. This work is joint with professors at CMU, U Mass Lowell, BYU, and Tufts. I was interviewed by Ira Flatow for NPR's Science Friday during the Science Friday Live in Pittsburgh show. I talk about how robots can help people by understanding them better. I'm delighted to announce that my lab's work on identifying when people need help from an assistive robot has been funded by the National Science Foundation! I'm at HRI 2018 in Chicago, where Reuben Aronson is presenting our work on eye-hand coordination for assistive manipulation, and I'm helping co-organize the student volunteer program. I'm in San Francisco, talking on a panel about AI to the CMU Board of Trustees. Very pleased to announce that a paper I co-authored with Rosario Scalise, Shen Li, Stephanie Rosenthal, and Sidd Srinivasa has been accepted to IJRR. I gave a guest lecture today to the CMU Tepper School of Business Technology Leadership Track. I gave a talk about my research and career path to the Girls of Steel (CMU's all-girl FIRST Robotics Team). I had an awesome time! I'm delighted that the first paper out of my new lab (led by my PhD student Reuben Aronson) has been accepted to HRI 2018! I'm co-organizing the HRI 2018 Student Volunteer program with Megan Strait from UTRGV. Applications are being accepted now! I'm at Cornell in beautiful Ithaca, NY, for the HRI 2018 Program Committee meeting. My lab is demonstrating our assistive robot research at the CMU's Founders Exposition, part of the 50th anniversary celebrations of the merger (between Carnegie Tech and the Mellon Institute) that created CMU. 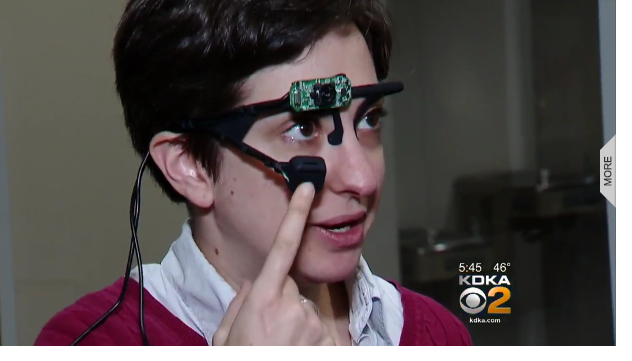 I was interviewed by KDKA Pittsburgh about the future of technology. See their report. I am giving a Computer Science Colloquium talk at USC titled: "Toward Natural Interactions with Assistive Robots". I am presenting my research to CMU alumni and donors at a CMUThink event in Los Angeles. My talk is titled: "Understanding Human Needs for Better Assistive Robots". I gave a talk at the CMU Robotics Institute Seminar today titled "Toward Natural Interactions With Assistive Robots". You can see the full talk here. I am giving an invited talk at the RSS Women in Robotics workshop. I am co-organizing an RSS 2017 workshop titled: "Mathematical Models, Algorithms, and Human-Robot Interaction". Thanks to all our presenters and participants! I start my new position as Assistant Professor at the Robotics Institute at Carnegie Mellon University! 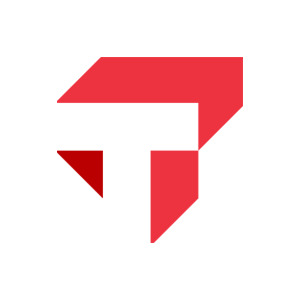 A paper co-authored with Shen Li, Rosario Scalise, Sidd Srinivasa, and Stephanie Rosenthal has been accepted to Ro-Man 2017! My article, "Social Eye Gaze in Human-Robot Interaction: A Review" has been accepted to the Journal of Human-Robot Interaction! I'm in Ann Arbor, Michigan for RSS 2016, where I'm co-organizing a workshop titled Planning for HRI: Shared Autonomy and Collaborative Robotics. I'm at ICRA 2016 in Stockholm, Sweden, to present my paper on modeling communicative behaviors for object references. Yahoo News interviewed me about our robot HERB in Pittsburgh: Innovation in the Steel City, a short documentary about the revitalization of Pittsburgh. I'm at HRI 2016 in New Zealand! I'll be presenting my work on modeling nonverbal behavior in human-robot collaborations. My paper on modeling nonverbal behavior for human-robot collaboration was accepted to ICRA 2016! Together with Sidd Srinivasa and Julie Shah, I am guest-editing a special issue of the International Journal of Robotics Research on Human-Robot Interaction. The call for papers is out now, and the deadline is March 1, 2016! Today I start a postdoctoral fellowship with the Personal Robotics Lab in the Robotics Institute at Carnegie Mellon University. Very excited to be here! My paper has been accepted at the 2016 International Conference on Human-Robot Interaction (HRI 2016)! The paper is about modeling a user's perspective of a visual scene to generate more effective robot nonverbal behaviors during collaborative human-robot interactions. I successfully defended my PhD thesis! My dissertation describes how complex nonverbal communication can be modeled to produce more interactive human-robot interactions. I'm in Arlington, VA for the 2015 AAAI Fall Symposium, where I will be presenting a paper at the "AI for Human Robot Interaction" workshop. I'm at MIT in Boston, MA for a two-day career workshop called Rising Stars in EECS, which brings together top graduate and postdoc women to discuss navigating early academic careers. I'm on the Program Committee for the 2016 AAAI Conference on Artificial Intelligence, one of the premier venues for AI research worldwide. My extended abstract was accepted to the AAAI 2015 Fall Symposium on AI for Human-Robot Interaction, which will be held in Arlington VA in November. I was accepted to participate in the 2015 Rising Stars in EECS: An Academic Career Workshop for Women, to be held at MIT in November. The workshop brings together roughly 60 top EECS graduate and postdoctoral women interested in academia, for two days of scientific interactions and informal sessions. I had a great visit to Pittsburgh hosted by Carnegie Mellon's Personal Robotics Lab. I gave a research talk to the group and met with researchers from CMU and the University of Pittsburgh. For the fourth year, I volunteered as a judge at the New Haven Science Fair, a K-12 science fair for local schools hosted at Yale. I gave a research talk at the Cornell Computer Science Department's Robotics/AI Seminar, and spent the day meeting many interesting researchers. I helped out at the Social Robotics Laboratory Spring Open House, where I demonstrated a Kinect-based robot vision system to nearly 300 visitors. I visited my alma mater, Wesleyan University, and sat on a panel about graduate school hosted by Wesleyan Women in Science. I'm in Portland, OR this week for HRI 2015. I'm presenting a paper about eye gaze in human-robot collaboration at the Workshop on Human-Robot Teaming on Monday. My paper, titled "Eye Gaze in Collaborative Human-Robot Interaction," was accepted to the Human-Robot Teaming workshop at HRI 2015, to be held on March 2nd in Portland, OR. I'm in Austin, TX for AAAI 2015. I'll be giving a talk on my research at the co-located SIGAI Career Network Conference on Monday. My submission to the ACM SIGAI Career Network Conference has been accepted as a talk! I will discuss my research with other early-career scientists at this one-day event in Austin, Texas in January. I am attending the International Conference on Multimodal Intelligence (ICMI) in Istanbul, Turkey. I will be presenting my preliminary model of nonverbal behavior in HRI at the poster session on Thursday. I'm spending two days at Georgia Tech in Atlanta at the Expeditions in Computing Joint Project Meeting. Researchers from the Socially Assistive Robotics Expedition (including those from Yale) are meeting with researchers from the Computational Behavioral Science Expedition to learn how we can collaborate and share tools. I am at USC for the Socially Assistive Robotics Expeditions Student Workshop, which I co-organized. The workshop aims to bring together students and postdocs from our Expeditions partner institutions to share research experiences and build tools for future collaboration. 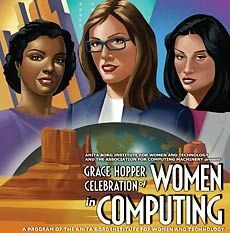 I'm in Phoenix for the 2014 Grace Hopper Celebration of Women in Computing. I'll be leading a roundtable discussion on undergraduate research experiences at the Student Opportunity Lab on Wednesday. My extended abstract was accepted to the AAAI 2014 Fall Symposium on AI for Human-Robot Interaction, which will be held in Arlington VA in November. My paper, "Data-Driven Model of Nonverbal Behavior for Socially Assistive Human-Robot Interactions," has been accepted to ICMI 2014, to be held in Istanbul in November. My position paper was accepted to the IROS 2014 Workshop on Rehabilitation & Assistive Robotics to be held in Chicago in September. Just finished a week of robot demos with my lab at the CogSci/AAAI Joint Robotics Expo in Quebec City, Canada. I talked about my research and showed off the MyKeepon Museum Project to attendees of CogSci 2014 and AAAI 2014. I presented my paper, "Speech and Gaze Conflicts in Collaborative Human-Robot Interactions" at CogSci 2014 in Quebec City, Canada. I have been awarded an NSF travel grant to attend IROS 2014 in Chicago in September. Just finished a three-day visit to Mountain View for Google's Scholar Retreat, where I met other winners of the Anita Borg Memorial Scholarship as well as winners of other scholarships from Google. I gave an invited talk, sat on a panel, and demonstrated my latest research at the MobiSys 2014 Workshop for Mobile Augmented Reality and Robotics-Based Technology Systems in New Hampshire. As part of the Yale Social Robotics Lab, I demonstrated my MyKeepon robots at the 2014 World Science Festival Ultimate Street Fair. Here is a photo of me giving the robots a bath before the public arrives (courtesy of Eli Chen at WSF). I have received a travel award to attend AAAI 2014 and to participate in the CRA-W/CDC Broadening Participation in AI program. I was a judge at the New Haven Science Fair, an annual competition of science projects from New Haven public school students. I organized a "virtual field trip" over Google Hangouts with several after school programs in New Mexico. My labmates and I gave robot demos and talked to the students about how to become roboticists. Here's a screenshot! Two of my papers were accepted for oral presentation at CogSci 2014, to be held in Quebec City in July. I am proud to announce that I am the recipient of a 2014 Google Anita Borg Memorial Scholarship! I'm an Associate Editor for the 2014 IEEE International Workshop on Advanced Robotics and its Social Impacts (ARSO2014), to be held in conjunction with IROS 2014 in Chicago. I presented my paper, "Deliberate Delays During Robot-to-Human Handovers Improve Compliance With Gaze Communication," at the 2014 International Conference on Human-Robot Interaction in Bielefeld, Germany. I am a finalist in the Palantir Scholarship for Women in Technology! I spent a fun day visiting Palantir's offices, interviewing for the scholarship, and learning about the company. I gave a colloquium talk at the Mathematics and Computer Science department at Wesleyan University, my alma mater. I had a fun afternoon demonstrating robots to Bethany Community School's GEMS club. The afterschool program for 9-12 year old girls aims to build excitement about STEM fields through hands-on activities with current women in STEM. I helped organize the Yale Celebration of Women in Computing, at which I also led a panel on graduate studies. I'm on the Program Committee for the Workshop for Mobile Assistive and Robotic technology-based systems (MARS) to be held at Mobisys 2014 in June. My paper was accepted for presentation at HRI 2014, to be held in Bielefeld, Germany in March. The Social Robotics Lab had a fun open house for the community. I gave a talk about my research at the Davenport College Graduate Research Forum. My advisor Scaz is quoted in a New York Times article about HRI. I'm in Pittsburgh! Very excited to be collaborating with the Personal Robotics Lab, where I'll be doing an HRI experiment with HERB. I attended CogSci 2013 in Berlin, where I presented my work about the perception of robots in majority and minority groups. Finished up a great week-long visit with the Personal Robotics Lab at CMU in preparation for our month-long collaboration in August. I went to Washington, D.C. to participate in the NSF Expeditions in Computing PI meeting, where I got to talk about my lab's grant for Socially Assistive Robotics. I gave my second Official Graduate Student Talk to the CS department, thereby completing the penultimate departmental requirement for my PhD. I'm on the Program Committee for the Human Robot Collaboration workshop, to be held in conjunction with RSS in June. My paper was accepted to the 2013 Annual Meeting of the Cognitive Science Society, to be held in Berlin, Germany. I presented my paper, titled "Are You Looking At Me? Perception of Robot Attention is Mediated by Gaze Type and Group Size," at the 2013 International Conference on Human-Robot Interaction in Tokyo, Japan. I helped run the 2013 Pioneers Workshop at HRI. I was awarded a Student Volunteer Scholarship to attend HRI 2013.